With the advent of the newest Ultra High Definition (“4K”) displays and sources, the latest version of High Definition Copyright Protection (“HDCP”) management was unveiled. 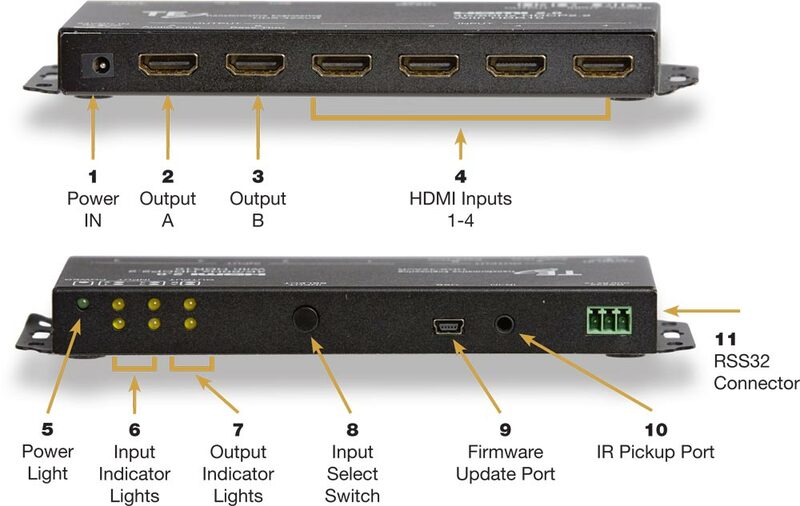 For those end-users who have an older, non-HDCP2.2 compliant video/audio processor or receiver, this presents a major problem. 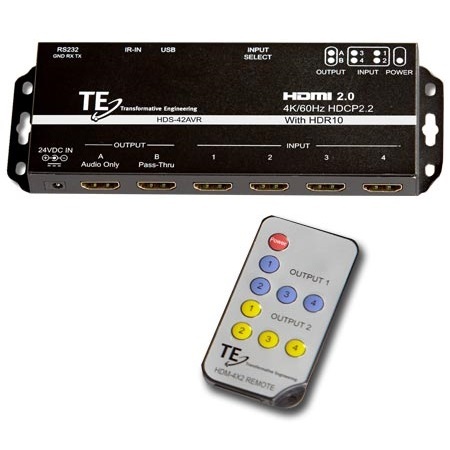 In order to take full advantage of the video capabilities of a new 4K display and to hear all of the high-level HDMI-only Surround Sound formats such as Dolby True HD and DTS-Master, the only solution until now would be to replace the older Audio/Video Processor with a new version that is HDCP 2.2 compatible. In smaller systems, that is not a major issue. In larger, audiophile grade installations, replacing a very expensive processor with another very expensive processor is not always an option. 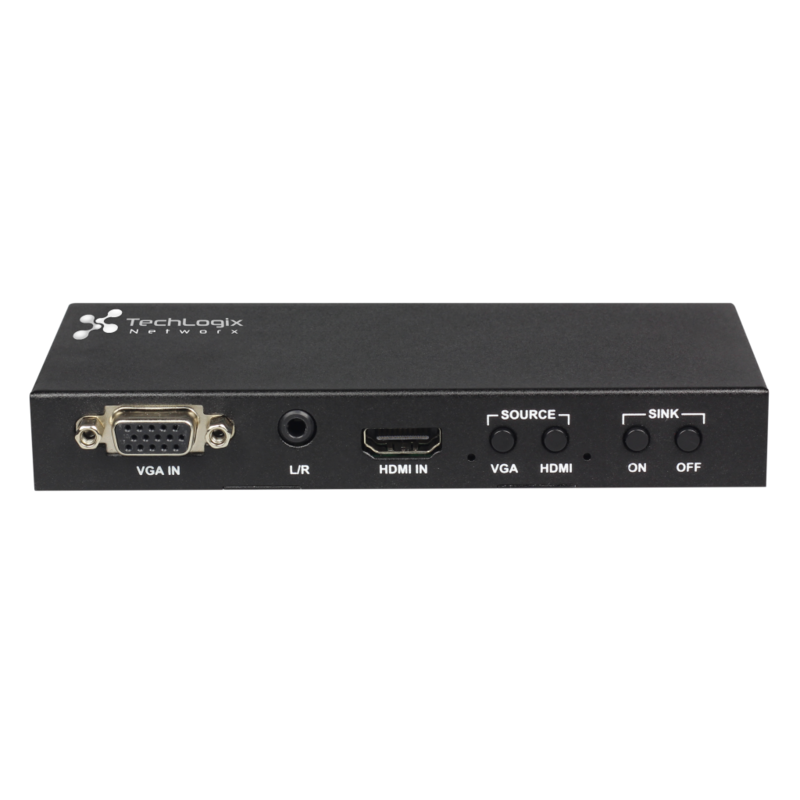 The HDS-42AVR solves this by allowing four HDCP 2.2/ full 4K sources to be switched and sent directly to the display, while directing any and all available HDMI Audio streams to the Surround Decoder. 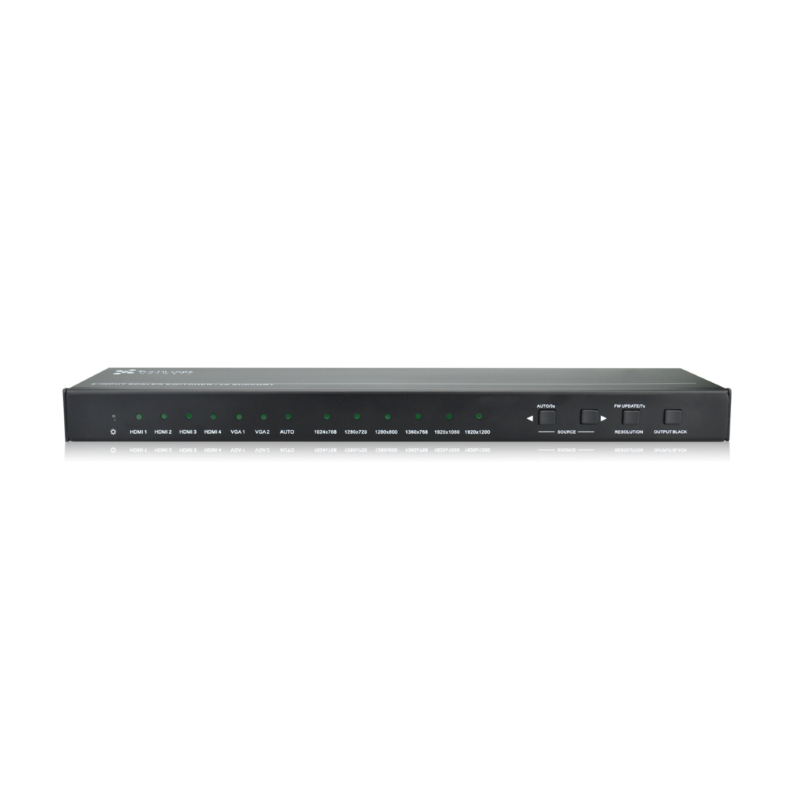 The HDS-42AVR handles all full 4K formats including 60Hz refresh rate at 4:4:4 color space for a full 18.2Gbps bandwidth. 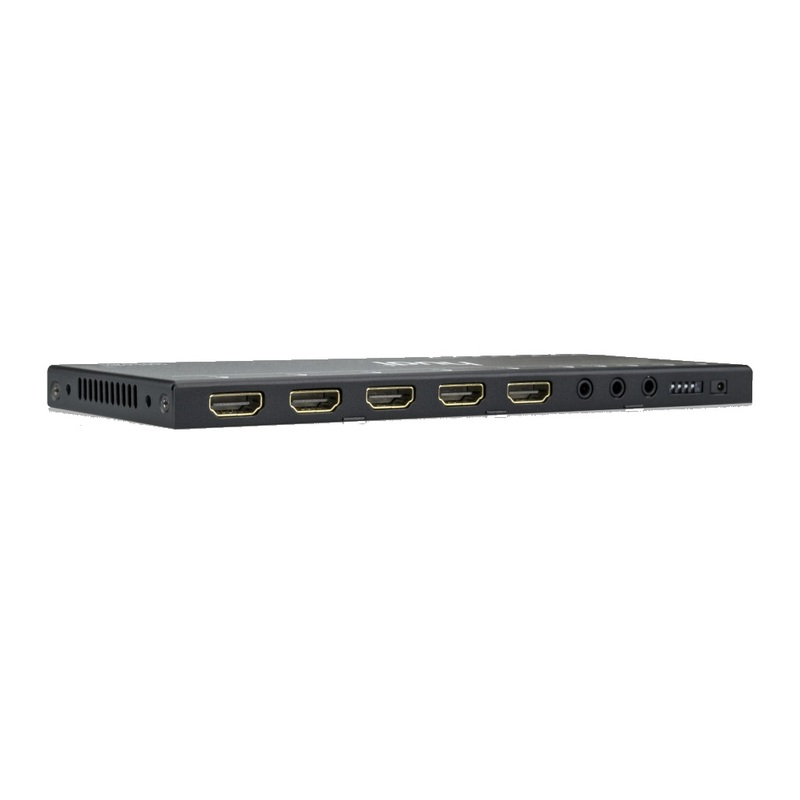 The Audio‑Only HDMI port is managed as a HDCP 1.4 source with a 720p MUTED video, in order to conform with anti-copy rules. 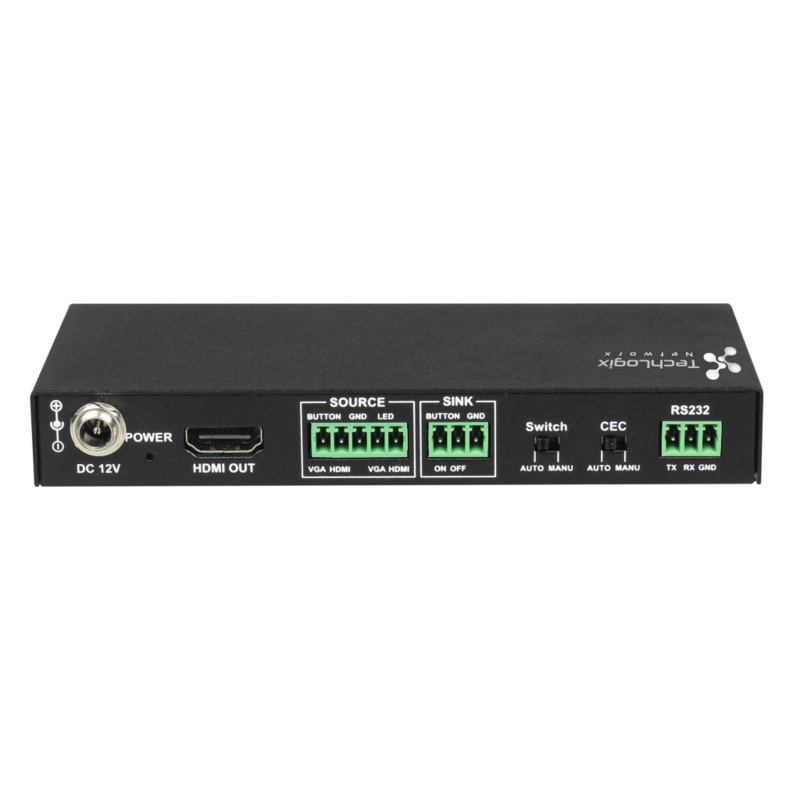 For the installer we have included the ability to integrate the operation of the HDS-42AVR via IR (with an included IR Remote and pickup) or via RS232. As with all Transformative Engineering products, we have created a solution in an effective, innovative and reliable way.